Dr. Yamini works hard to ensure that finances are never an obstacle to receiving the quality care you deserve. Our Santa Monica and Beverly Hills offices allow a variety of payment methods. We accept insurance as well as cash-paying patients. The type or level of your insurance coverage will never dictate the quality of care you receive from Dr. Yamini and our staff members. In fact, we go above and beyond to ensure that your financial obligations are without stress and complication. We are a highly respected gastroenterologist that makes insurance easy and cash payments affordable. We are considered an in-network provider for a number of major insurance companies. Our office will gladly bill your insurance and act as a liaison on your behalf for any payment or claim-related concerns. If you have questions about your insurance benefits or your amount of coverage for a specific procedure, we are always happy to assist you so that you can make the most informed decision about your healthcare. We realize that insurance coverage can be complicated, and you can trust our billing specialists to clearly explain your out-of-pocket costs in an upfront manner. At the office of Dr. David Yamini, we realize that not everyone has insurance coverage. Nonetheless, we still want every patient to have the opportunity to receive the top-quality care they need and deserve. Therefore, we’ve made it affordable for self-pay patients to be treated at our office. 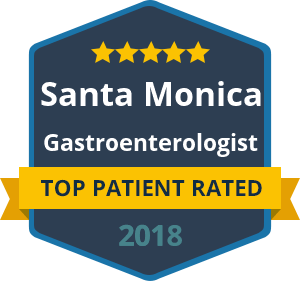 Our affordable care for patients who pay cash is a significant benefit of choosing our practice for your gastroenterology care in California. While some patients may be without insurance coverage altogether, others may choose to pay cash due to the lack of reimbursement from their insurance company for certain tests and procedures that Dr. Yamini deems necessary for superior, thorough care. Regardless of your reason for paying cash, you can trust that we can make it as affordable and stress-free as possible. Providing quality care in a timely manner is important to us. In order to accomplish this, our practice has a cancellation policy that must be adhered to. We understand that canceling an appointment is sometimes necessary or out of your control, but we do ask that you give us enough prior knowledge of your cancellation for us to provide availability to another patient who needs care at our office. If you must cancel a consultation appointment, we ask that you call the office at least 24 hours in advance. If you cannot make a scheduled procedure, we require that you notify us at least 72 hours (3 working days) in advance. Appointments at both our Santa Monica and Beverly Hills offices are in high demand, and we need the required cancellation notice in order to fill the appointment slot for another waiting patient. Any late cancellation or no-show fees must be paid prior to rescheduling your appointment with us. For additional questions or concerns regarding insurance, billing or cancellation policies at the office of Dr. David Yamini, please contact us today.